There are 20 core faculty members in the Department of Biochemistry and Molecular Biology working on a diverse range of research projects. These projects are interdisciplinary in nature and will provide students with training in many different areas including cellular and molecular biology, genetics, virology, enzymology, structural biology, and biophysics. 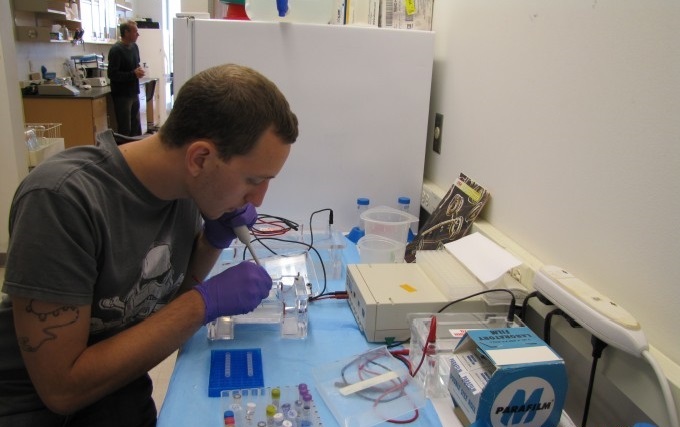 The department has state-of-the-art facilities and equipment that are available to faculty and students for their individual research programs. In addition to the traditional areas in biochemistry and molecular biology, we have developed strong research and educational programs in structural biology. Members of the faculty have expertise in cryoelectron microscopy, X-ray crystallography, NMR and imaging, and actively collaborate with other research groups to address fundamental questions about biomolecular structure. Specific research interests of the faculty are listed below and grouped by area with links to faculty members’ home pages.